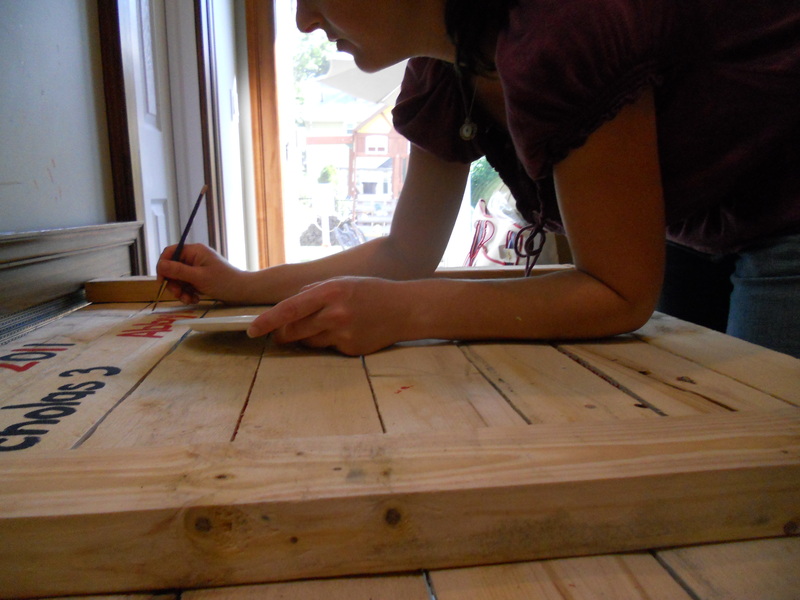 Check out a DIY project from one of our readers, Robyn Caruso from New Jersey! 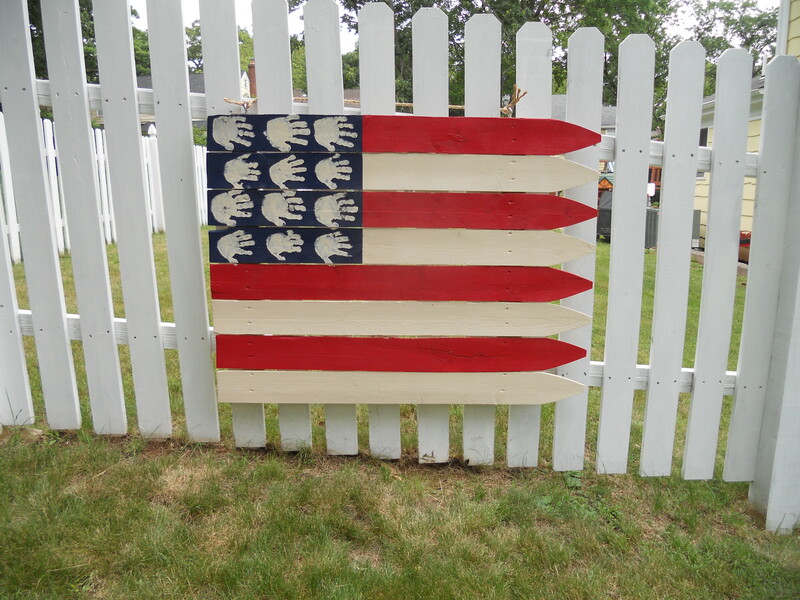 For years I’ve wanted to make my OwN American Flag out of a fence, but always pushed it to the end of my to do list. 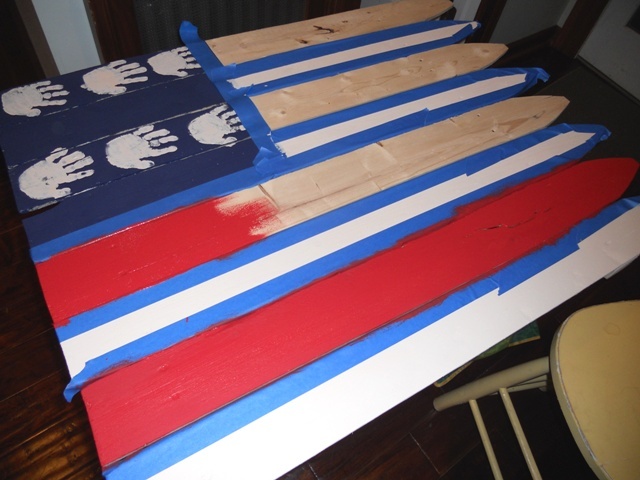 Robynn recently posted her inspiration for making an American Flag and that was all it took to get me going. With my little ones birthdays both approaching this summer, I am feeling the need to “fReeZe” time and just take in every minute of them being little. 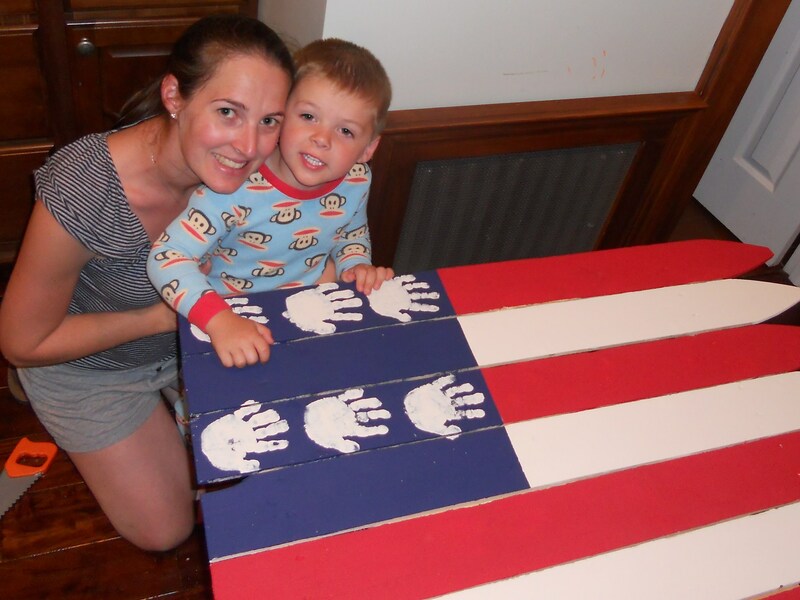 My idea for my flag included their little HanDprinTs so that in years to come we can look back and remember how special this time was. Next came a trip to Home Depot where I convinced the lumber crew to cut down a broken fence that originally cost $24 into the size that I wanted. I walked out of the store sMiliNg ear to ear after they rang it up for $4.04! I guess it’s not every day they have a mommy on a crafting kick with 2 toddlers throwing fishies out of a double stroller in the lumber department! I got home and went through my stash of paint and got to work. 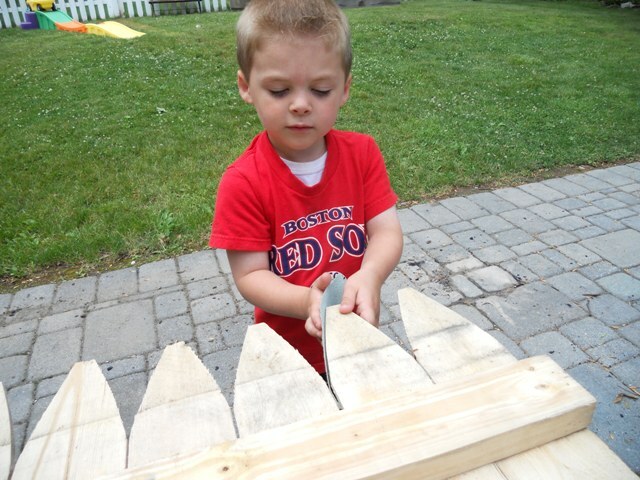 Picture #1 – My son Nicholas helping me sand all of the edges. 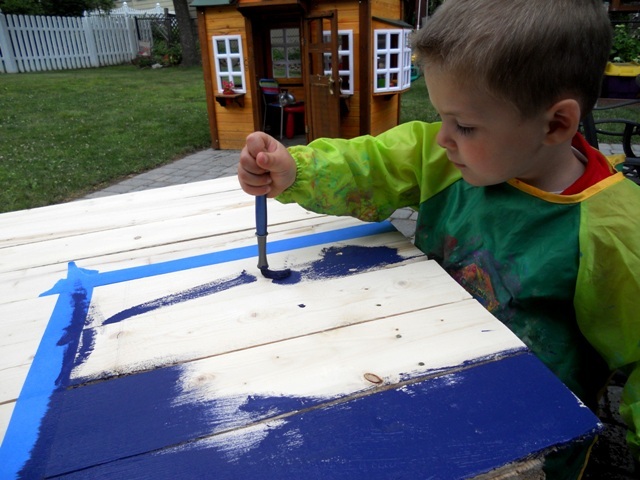 Picture #2 – Nicholas concentrating on painting the field of blue. 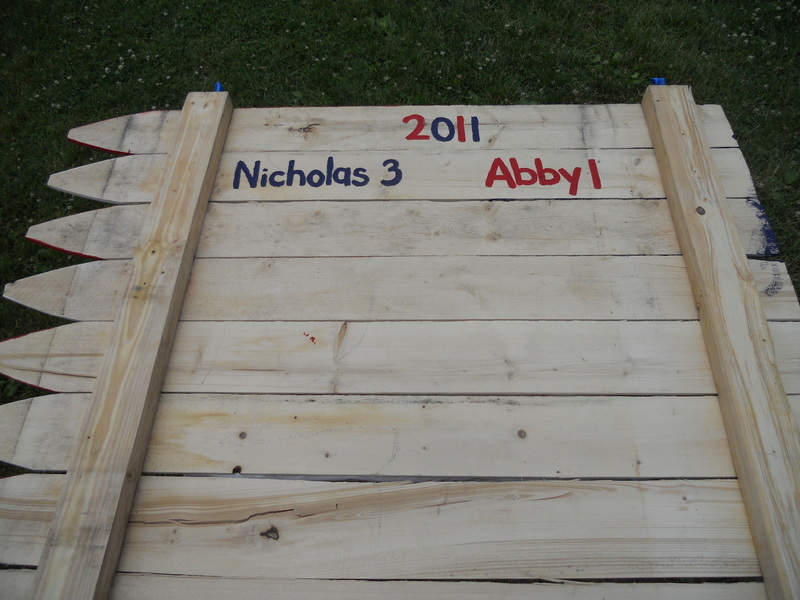 Picture #3 – I used painters tape to keep the colors from running together and then imprinted Nicholas handprints on the first and third rows of blue. Picture #4 – Mommy and Nicholas. Picture #5 – Abby gets her turn on the second and fourth rows of blue. 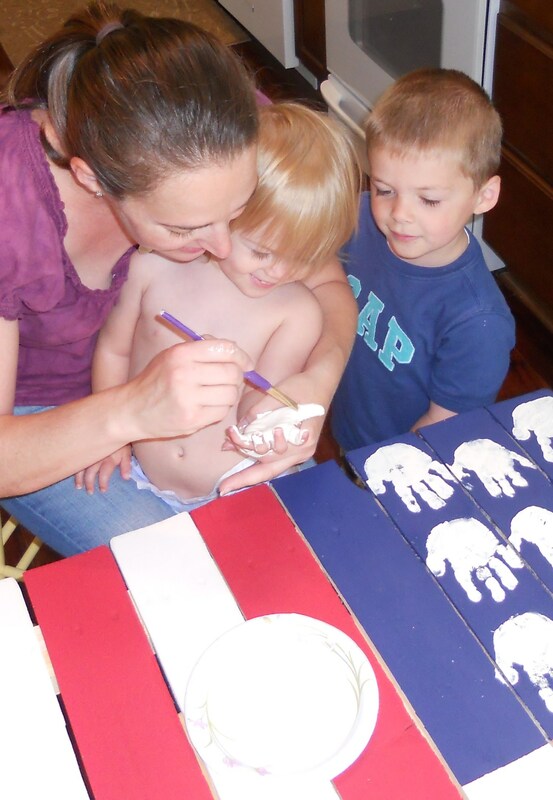 Picture #6 – Painting the year, kid’s names, and ages on the back of the flag. Picture #7 – After the names were finished I sprayed the front and back of the flag with an indoor/outdoor sealer and was ready to tie the rope through the metal screw eyes that I screwed into the top of the flag. Picture #8 – My finished keepsake flag! Thank you Robyn for sharing this with all our friends on the SuedeSofa!! How sweet-and a treasurer for your husband! LOVE IT!! Robyn, we love this flag!! The handprints are priceless! Thanks for sharing!!! Thanks Lara and Robynn for sharing my flag. I am so honored that you chose to share my idea with your readers!